We'd love for you to join us this Christmas for a powerful time of worship, prayer, and celebration as we honor the birth of Jesus Christ. Services will be held at our Mount Dora campus. Seating is limited, so we ask that you bring your tickets tonight! *NOTE: If you were unable to grab a physical ticket at church throughout the week and you did not reserve any tickets online over the past month, fear not and read on! THE 3PM SERVICE IS FULL - All tickets are gone. 5PM has about 50 seats remaining. 7PM has about 25 seats remaining. Questions? We hope this helps. Yes. CAMP CROSS, our kids ministry, will be available only for children ages six weeks through ten years for our 5pm, 7pm. & 9pm services. Nursery childcare (0-4yrs) will be provided for our 3pm Kids' service. There will be lots of fun and surprises! Snacks will not be provided. Children older than ten are invited to attend the service with their families and will need a ticket. Yes. 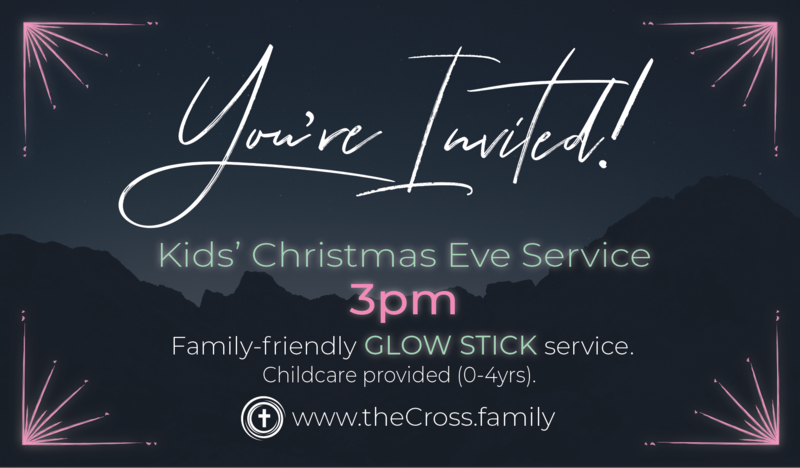 There will be a special candle-lighting moment during every service, except for the 3pm Kids' "Glow" service, which will have glow-sticks instead of candles. We will also have a Petting Zoo for the kiddos which starts at 2pm! Come at 2 for the Zoo!!! Is it free to attend services? Are tickets required? 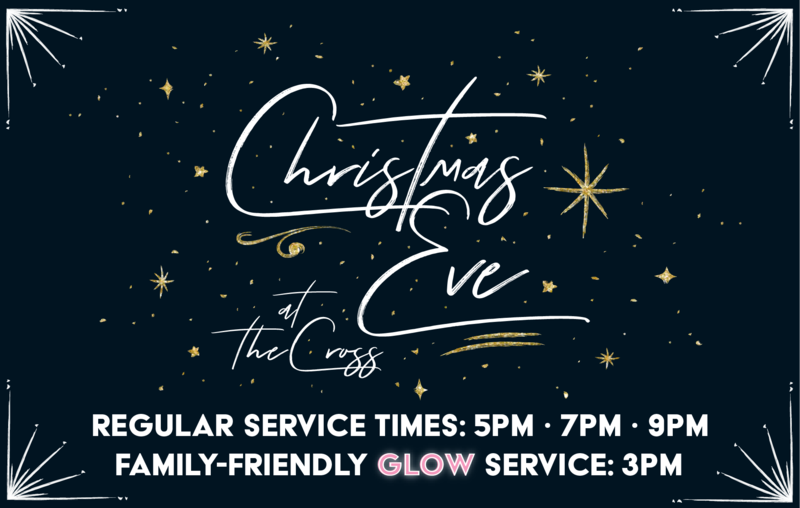 There is no cost to attend any Christmas at theCross services. We issued free tickets over the past month so we could plan and make your experience awesome. At this point, some services may be full. My preffered service is full? What should I do now? Breathe. If tickets for your preferred service are no longer available, we encourage you to choose a service at a different time. If you come to a service without a ticket and there are remaining seats available, you will be able to enter the church 10 minutes before the service begins. If the service is completely full you will have to move to our "over-flow" seating in another room. Again, we HIGHLY recommend that you come to the 9PM service if you do not have a ticket. Doors to the church will open 30 minutes prior to the service. Those with tickets will be seated first. Many services will be full, so we recommend arriving early so you have plenty of time to grab a coffee and find your seat before the service begins. Seating will be open to those without tickets 10 minutes prior to the service. After this time, tickets will no longer provide guaranteed seats. If you have any other questions you can email our Communications Director, Chris Burns HERE! We can't wait to see you at theCross!